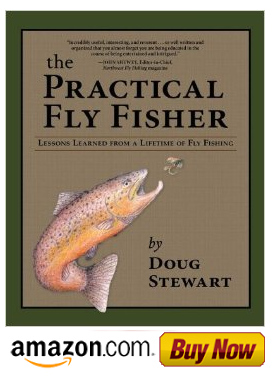 A basic knowledge of entomology is a valuable asset when trout fishing, but you don’t have to be a scientist to catch fish. A simple understanding of insects and their stages of development can really help you in matching the hatch. However, some folks carry this study to extreme. 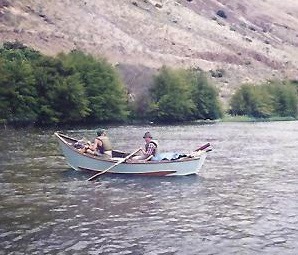 One May my friend Bill and I were drifting the Deschutes River hoping to hook some trout on stoneflies. As we floated down we passed one fellow who looked like he had just walked out of a fly fishing outfitter’s shop. In grand style, he flaunted an Irish fishing hat, an old briar pipe, and had all kinds of gizmos and gadgets dangling from his vest. He was almost up to his armpits in water, poised like a statue and intently waiting for a fish to rise under the overhanging alder trees. Bill looked over at him and shouted, “Hey, fella, are you having any luck?” The gentleman nodded, but kept his gaze fixed on a shaded area. “What kind of fly are you using?” I asked. He paused, glanced at us like we were rookies and in a low guttural whisper he said PTERONARCYS! This in layman’s terms means a Stonefly nymph. As we drifted away Bill shook his head and said in jest, “Ya know, Doug, if I started using that kind of language I think I’d find another sport. There are many ways to tie a stonefly nymph. Some are so real that they look like they might just crawl right off the tying bench, while others are models of simplicity. Both are equally effective if they are fished properly, but I've always preferred the latter because they take less time to tie.